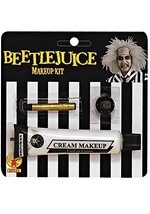 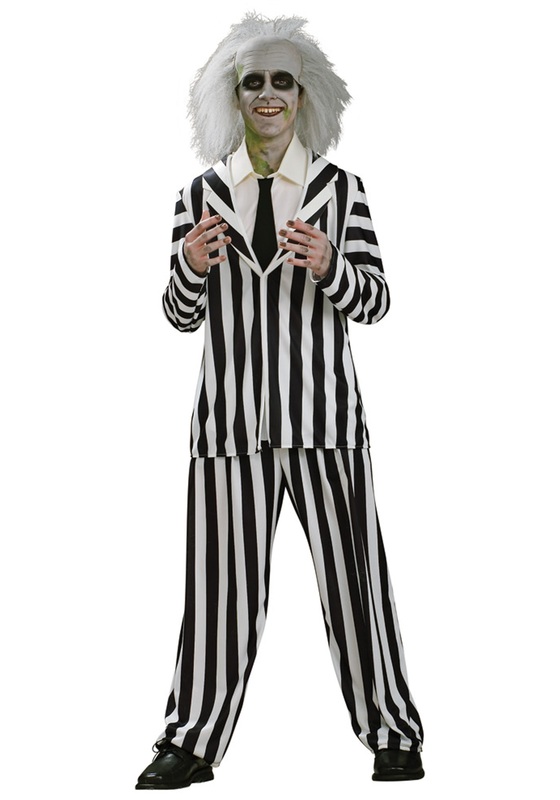 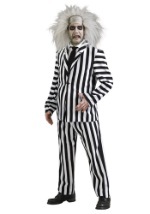 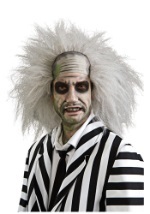 It's okay to be disgusting in this Beetlejuice teen costume. 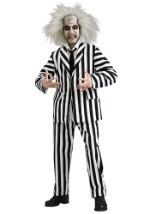 The black and white striped jacket has foam flaps and velcros at the middle. 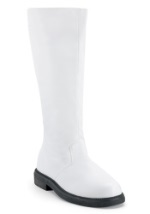 White dickie also has a white foam collar and attached black foam tie. 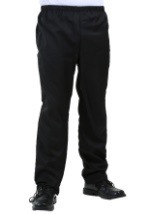 The dickie goes over head and ties to straps from the waist of the front of the dickie. 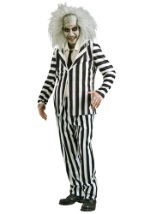 The costume's white and black striped pants have an elastic waist for a comfortable fit. 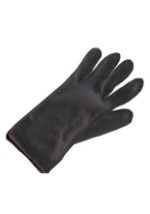 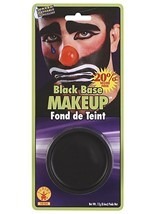 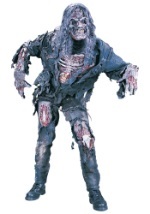 Pair with our adult gray Beetlejuice wig for one scary-looking dead guy.